Susan Thaxton has learned the meaning of resiliency and the power of transformation. Susan has had two full careers and is moving into a third. After completing an internship at UCSF, she worked as a Registered Dietitian in long term care and as a Clinical Nutrition Manager in acute care hospitals. In the mid-nineties she took advantage of a massive layoff, changing careers to become a successful sales representative in commercial printing. Combining her sales background and her experience as a consulting dietitian, Susan is embarking on a new career as a consultant in the world of senior housing. As a speaker, Susan plans to spread the message to Baby Boomers and beyond that where you live tomorrow depends on what you plan for today. Her new book on “Living where I want to live: A guide to helping aging parents” is in the works. Susan credits Pro-Track for keeping her “sane” during an otherwise tumultuous year and for giving her the courage to transform her personal experience into a meaningful message. To hear what Susan told me about her future plans, click on the podcast icon below. The National Speakers Association Northern California Newsletter goes out monthly to over 600 subscribers. Each month we profile one of the Pro-Track training group. This month I’m breaking new territory by including a podcast of an interview I recorded to supplement the written profile. Nannette Carroll approaches all management challenges as communication opportunities. For over 20 years, her upbeat management seminars have helped participants use their process skills to discover root causes for people problems. With this knowledge, managers can implement lasting solutions. Her background as Director of Management Development/ Training for a Fortune 100 gives her a uniquely helpful perspective on aligning process, project and people management. Nannette sets high standards for achievement while creating a fun, supportive, collaborative environment for participants in both workshops and speaking engagements. As well as being a member of the National Speakers Association she is active in the California Writers Club and has a book coming out soon. Nannette and I talked in a rather noisy hotel lobby during a break in the Pro-Track Saturday training on March 17, 2007 – St. Patrick’s Day! Podcast Note: The opening and closing royalty free music is from a track called Games by the band Sour Monkey found on the Public Music Project website. Click below to hear my interview with Nannette Carroll. Kathy Hart is President of ClearVision Consulting, Inc., a global company that specializes in accelerating organizational excellence and improving human performance. 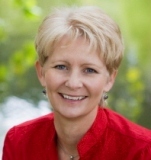 Kathy is a highly sought after consultant, speaker and coach. Kathy has worked in corporate environments for more than 28 years. She brings to ClearVision broad leadership experience in the non-profit, banking, manufacturing, insurance, and utility industries. In these leadership roles she successfully promoted and advanced business and industry emergency preparedness, employee safety and health, and implemented enterprise-wide change efforts. In 2012, she was honored by American Society of Safety Engineers’ (ASSE) Women in Safety Engineering (WISE) Common Interest Group for her twenty years of making a difference in the safety, health, and environmental (SH&E) field as part of the WISE ‘100 Women, Making a Difference in Safety’ project. While Kathy continues to support the field of safety and health by educating and mentoring those in the profession, she now uses her extensive knowledge of individual and organizational change in the field of organization development and effectiveness. In 2005, Kathy founded ClearVision Consulting with the express purpose of promoting the potential of people within business environments. Her work focuses on the alignment of people, processes, and structures to accelerate organizational excellence and improve human performance. Kathy’s clients know her as a collaborative partner and coach who brings positive energy and innovative ideas to each relationship. When tackling challenges, clients rely on her grace and courage to co-create with them innovative and sustainable solutions. She began honing these skills of “grace under fire” when she became the first woman to integrate an all-male water polo team in high school. Kathy has been recognized by numerous organizations for her leadership and dedication, and is currently a member of the Organization Development Network (ODN), National Speakers Association (NSA), and the Institute of Management Consultants (IMC). She is a former Board Member of the Bay Area Organization Development Network (BAodn), Admissions Chair for American Society of Safety Engineers (ASSE), and Chair for the San Francisco Chamber of Commerce Crime Prevention and Safety Committee. The later she remembers fondly, as it led to her first formal invitation to a Mayoral Inaugural Ball. Kathy’s highly interactive speaking engagements include topics on organizational change, leadership and team development. She is an adjunct professor, and has taught and presented at Lao American College, Laos, and the National Hispanic University, San Jose. Kathy holds an Ed.D. in Organization and Leadership from the University of San Francisco, a M.S. in Occupational Safety & Health from the University of Southern California, and a B.S. in Business Administration from California State University-Sacramento. She can reached via her website. Kathy was the first member of the 2012 Pro-Track class of the Northern California Chapter of the National Speakers Association (now re-branded as the Speakers Academy) to achieve full professional membership in NSA. To more hear about her consulting business click on the podcast icon below. Liz is aware that bullying has reached epidemic proportions in our nation’s schools.The frightening statistics is that one in four kids are bulled. Bullying behavior begins in preschool. Every day, 160,000 students miss school for fear of being bullied. Liz speaks on Bully Busting Behavior, Promoting a Healthy Self-image and Character issues. She speaks in schools because she loves helping kids. It does not matter whether they are the bully or the bullied. As a Christian practitioner she holds no judgement. Both groups are suffering. Her heartfelt desire is to help everyone. Liz can be contacted via email at bowenspeaks@gmail.com. I recently talked with Liz about her background. To hear what she told me, and her passion for speaking out against bullying in schools, as well as her impressions of the National Speakers Association Pro-Track class that she is part of, click on the podcast icon below. This article marks the start of a new series in Professionally Speaking. For the past three years I’ve published a monthly Pro-Track Profile interview featuring members of the Pro-Track class of the Northern California Chapter of the National Speakers Association. I’ve decided to start a similar series featuring freelance creatives who make their living as communications consultants, writers, editors, and more. This Freelance Focus series kicks off with an interview with the founder of the Agency which has provided me with the majority of my own freelance work for the past three years. René Shimada Siegel is a reluctant entrepreneur who founded High Tech Connect in 1997 at the persistent request of her Silicon Valley colleagues. They were frustrated by the challenge of finding qualified marketing consultants with no time to train them on a specific product or technology. So René leveraged her PR and marcom management experience—as well as a jam-packed Rolodex, caffeine-fueled lifestyle and talented friends—to create a specialized marketing services agency called High Tech Connect. Over the past 15 years, more than 500 clients have called on the High Tech Connect team for critical projects or to fill in for maternity and medical leaves. With a carefully selected nationwide network of more than 1000 freelance consultant specialists, they provide on-demand, project-based expertise in areas such as Copywriting and Editing, Corporate Communications, Event & Trade Show Management, Executive Speechwriting, Public Relations and Social Media Marketing. René has grown High Tech Connect to a leading provider of expert marketing and communications, and one of the largest women-owned businesses in the San Francisco Bay Area. She’s extremely proud of the team she’s built: like-minded professionals who are equally passionate about helping clients and inspiring consultants. René is a regular contributor to Inc.com, dispensing advice and perspective for small business owners and entrepreneurs. Her innovative business model and inspiration for home-based consultants has also been documented in several books and publications like Forbes, The Wall Street Journal, Newsweek Japan and Daniel Pink’s Free Agent Nation. High Tech Connect employ carefully selected experts to work on complex projects for more than 500 clients, including Cisco Systems, IBM, NetApp, Intel, Kaiser Permanente, Brocade, Intuit, CA Technologies, McAfee, Xilinx, VeriSign, Seagate, Silicon Valley Leadership Group and more. The freelance consultants placed through High Tech Connect average 10-20 years of professional marketing or communications experience. Consultants are paid either on a 1099 or W-2 basis, depending on the client company’s requirements. I’ve worked as a consultant through High Tech Connect for the past three years. I visited René in her Pleasanton, California office and asked her share her insights into the world of freelance consulting, what companies are looking for today, and what issues do employees who are considering switching to freelance work need to consider. To hear what she told me, click on the podcast icon below. After coaching hundreds of corporate techies and their managers on wellness, Monique found most obstacles point back to stress. People essentially know how to improve nutrition and exercise. The problem is prioritizing and motivation. People are overloaded and exhausted at the end of a day. They want fast food and TV or a fancy dinner and a drink…too frequently, in which case, it’s neither a healthy nor a truly fulfilling life. Easier said than done? Not when you learn what’s at the root of it all. Monique’s most profound insights have come from ancient wisdom traditions. When we shine the light on ego and its antics, it can’t run our lives anymore. The ego innocently tries to help, but mucks things up. Cultivating wisdom, on the other hand, allows us to embody our true nature. With wisdom, we enjoy mental clarity, physical vitality and emotional equanimity. The impact is as close to home as our relationships and as far reaching as world peace. To find out more about Monique and her work as a speaker, consultant and coach, visit her website. I recently talked with Monique about her background. To hear what she told me, and the ways she adds “juice” to the topic of stress plus her focus on meditation, as well as her impressions of the National Speakers Association Pro-Track class that she is part of, click on the podcast icon below. Jag Randhawa shares a deep passion for making a difference in the world, and enjoys sharing his life lessons through speaking. Creating a Culture of Innovation is one of Jag’s most requested talks, based on the Open Innovation program he developed in his company. His presentations are interactive, engaging, and appeal to the heart, creating a lasting impact. Jag serves as the Vice President of Information Technology and eCommerce at CAMICO Mutual Insurance, where he manages the Technology portfolio and eCommerce channel. Jag has integrated his passion for neuroscience and behavior psychology to develop a very scientific approach to inspire employees to perform at their best. This approach also contributed to the development of an Open Innovation program where all employees contribute ideas to grow the business. Jag is a frequent speaker at many CIO and executive networking events where he shares his experiences on Leadership, creating a Culture of Innovation, and Employee Engagement. Jag has more than 20 years of technology industry experience. He is an active contributor to the local CIO community and chairs the Silicon Valley CIO chapter of TechExecs. Prior to CAMICO, Jag worked as an IT consultant and engineer serving a broad range of industries where he developed many innovative and award-winning software systems. Jag has degrees in Electronics Engineering and Information Technology. Innovation is ranked as the top priority year after year by CEOs in annual surveys, but most struggle with how to get started. How do you take the resources you have and spark interest in creativity and innovation? Jag has created a simple program to help companies get started in creating a Culture of Innovation. The program engages employees to generate ideas that will increase the top line and create operational efficiencies. When companies involve employees, they are more engaged, and go above and beyond the call of duty to make the company more profitable. I recently talked with Jag about his background. To hear what he told me, and the results he’s seen proven in his own organization as a result of embracing a culture of open innovation, as well as his impressions of the National Speakers Association Pro-Track class that he is part of, click on the podcast icon below. For as long as he can remember, San Francisco Bay Area-based Austin Hill Shaw has been enraptured by creativity and the creative process. In 2004, stemming from a life-changing insight gained during a three-month meditation retreat, he began exploring the subject of creativity in earnest, wanting to understand the opportunities and challenges behind creativity’s seemingly universal appeal. Since then, he has amassed a wealth of knowledge regarding creative expression in art, science, and religion, in childhood development and adult maturation, in business and the economy, in product innovation, in both intimate and organizational relationships, and in non-ordinary states of consciousness, delving into the very core of what is means to be human. More importantly, he has striven to embody all that he’s learned, using his own life as an ongoing experiment, testing and refining his methods in his own pursuits as a writer and architectural designer. Today, in a time of rampant job automation and outsourcing, Austin’s message regarding the importance of creativity and how to activate it is swiftly making its way out into the world. Drawing upon an innovative mix of cutting-edge science, artistic expression, and age-old spiritual wisdom, Austin presents a timely and enlivening understanding of creativity, one that ignites the full-person creative potential of individuals and organizations alike. He just released his provocative first book in his Awakening Creativity Series, a book entitled, Between The Bridge and The Water: Death, Rebirth, and Creative Awakening, and will be releasing his next book, The Shoreline of Wonder: The Path of Creativity later this summer. Whether he is addressing a large audience or working with an individual one-on-one, Austin combines visionary insight with heartfelt empathy, profound ideas with unexpected humor, sobering seriousness with joyful irreverence, all with a remarkable sense of presence. He is a gifted story teller, one with the ability to unpack the complex subtleties of the creative process and present them in a way that can be put to use immediately. Through his keynote presentations, writing, and one-on-one coaching, and through his work with his architecture clients, Austin Hill Shaw is dedicated to helping others awaken their natural creative capacities and to share their creative gifts with others. Find out more about Austin, his speaking and coaching offerings, and his other creative pursuits at www.austinhillshaw.com. I recently talked with Austin about his background. To hear what he told me, and the plans he has to instigate creativity in the world, as well as his impressions of the National Speakers Association Pro-Track class that he is part of, click on the podcast icon below.